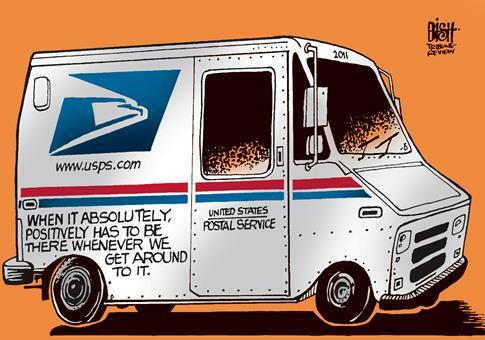 I have had countless issues with the USPS. When I order something online, and they send me a tracking#.. if it is a USPS number I more or less immediately assume I have a 50/50 chance of ever actually getting the item at all. It’s so bad, that I try to make sure I always have it shipped to the office instead. We have a full scale mail room and loading dock, and the postage to here is delivered via direct truck from the local facility. At least then you can remove most of the “human factor” that screws me over on the delivery aspect. Move forward to a few weeks ago: I ordered something on Amazon, and due to a series of unrelated events, the default delivery address of my office got “un-defaulted”. I didn’t realize this (my fault) and the package was addressed to my apartment. I realized after the fact and immediately understood this was going to be an adventure.. I did not, however, learn just how adventurous. The package was out for delivery on the 25th. Mid day, I got a notification that it “could not be delivered as addressed.” So I reached out to Amazon chat support, to look into it for me. The agent spoke to the USPS and was informed “the address was illegible.” Now, I don’t know if you have ever ordered something on Amazon.com, but those labels are pretty crisp. Laser printed, big font, and the address is usually in more than one place. 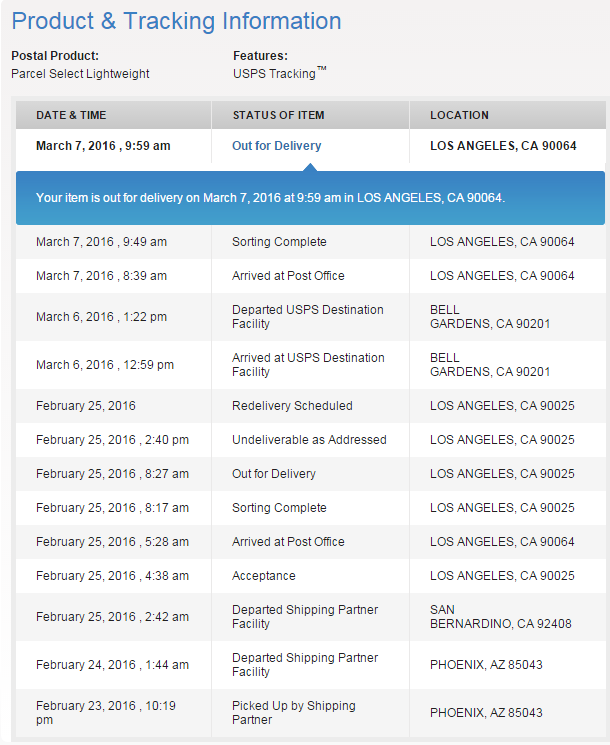 Somehow, the package went off the radar entirely (from the USPS facility in my zip code), then magically appeared again 11 days later at a facility 15 miles away east of downtown. Um, okay? Now, it’s back at a DIFFERENT facility in another zip code (albeit the zip code adjacent to the previous, where my apt sits on the street dividing them.) In theory it’s back out for delivery as well… but oh, did I mention that during all this radio silence I moved about 4 blocks down the street? Yeah it’s a good thing Amazon replaced this package cause I’m never gonna see it.